Ask a writer to name the book that shaped her and you’re likely to get a list instead of a single recommendation. It’s hard to resist the temptation. There was The Joss Bird, which my mother lovingly read and reread on demand when I was two. Then The Velveteen Rabbit, at four. “Three Billy Goats Gruff,” Sam, Bangs & Moonshine by Evaline Ness, Amos & Boris by William Steig followed. Given my obsession with animals, it was no surprise that I graduated to the Thoroughbred series by Joanna Campbell, The Wild Mustang and The Black Stallion books. I wanted a horse almost as much as I wanted a dog. (I got the latter, and am still waiting on the former.) If you asked me to tell you what I remember most about my beloved horse books, I couldn’t. Here’s what I do remember: waiting until my mother’s footsteps faded as she walked down our very long hallway. Waiting for the snick of my parents’ bedroom door. I remember slipping out of bed to my bookshelves and pulling down the newest R.L. Stine novel. I remember reading as many chapters as I could under the covers, flashlight in hand, before I was inevitably busted. I don’t remember how I managed to convince my parents to buy my first R.L. Stine novel—this was in the pre-Goosebumps era (and also the pre-YA-shelving era, when all children’s books were lumped together). I also don’t remember which of his books I read first—I still have several of them, including a first edition of The Boyfriend (1990) which would carbon date me at eight years old at the time. Probably too young for a book with a blood-spattered corsage on the cover, but what can you do? To be honest, I don’t remember reading The Boyfriend or The Girlfriend or The Best Friend or the other early horror novels Stine wrote, although there’s physical evidence to support that I did. What I do remember is the Fear Street series. Bad things happened to teenagers in Shadyside, and there was always more murder and more mayhem. Always. 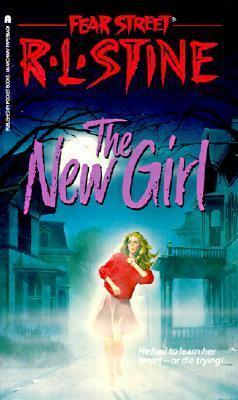 I can’t say whether the Fear Street novels turned me into a reader, because I don’t remember a time before I was one. I can say that without them, I doubt I’d have become a writer. When the idea for my first book took root, it was easy to see, even in those early drafts, that R.L. Stine’s books had planted the seeds. Every chapter of his ended in a cliffhanger. 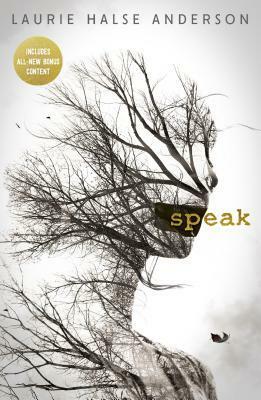 Every page was weighted with tension. My favorite Fear Street books were the prequels that explained the origins of the cursed street (Salem, witches, forbidden love, a curse). To this day, origin stories are my favourite kind—it’s not a coincidence that I ended up writing one myself. I idolized Jo March when I was younger and I was enchanted by adventures of the Pevensies. Those books were comforting and comfortable—lessons were learned, heroes were rewarded. When it was time for homework, or dinner, or bedtime, I could put The Lion, The Witch, and The Wardrobe down, knowing that when I returned to it, the characters would be right where I left them. They might not always be happy, or even safe, but things would always turn out okay in the end. Things were never okay on Fear Street. R.L. Stine created a world in which anything could happen, in which no character—not even the protagonist—was safe. So, when my mother turned off my bedroom light at night, those were the books that haunted me from the shelves. I could live without a happy ending, but if I didn’t find out what would happen next, I’d be tortured.